A couple of weeks ago we shared the results of a survey we did last year to see if you have what it takes to be a motorsport event organizer. Turns out if you're organized, pay attention to details and have good communication skills, you're probably suited for the role. Now let's look at what kind of people actually are organizers. 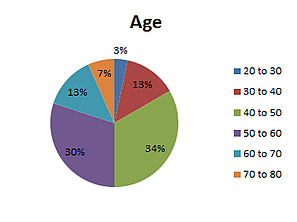 Below are some charts that illustrate the demographics of the people who took our survey. Some surprising, some predictable, but all still interesting. We've spent enough time at the track and meeting organizers that this chart doesn't really surprise us. 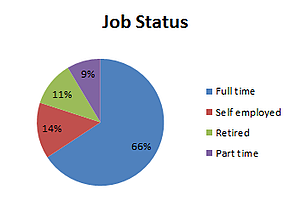 The majority of event organizers, 64%, are between the ages of 40 and 60. There may be several reasons for this- income (this isn't a cheap sport) and free time (kids may be older and less needy) come to the top of my head. But take a look at the 30 to 40 age range- 13%. This tells me there's a decent level of interest and room for growth here. Organizers- how can you encourage people in this age range to help you out? Turns out event organizers are also mostly male. 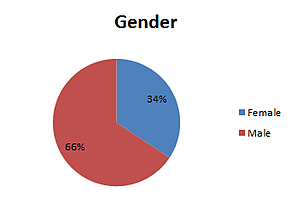 That may not surprise some people because it's probably safe to say that motorsports is a male-dominant sport. However this chart makes me scratch my head a little. I meet lots of female organizers and volunteers at the track and there are plenty of female organizers we work with directly here at MotorsportReg. Perhaps men are more inclined to take a survey than women? 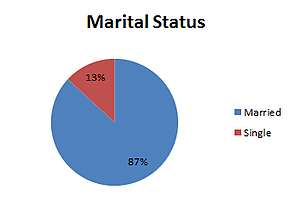 Most of our organizers are married, but the percentage (87%) is higher than the national average- anywhere between 51% and 59% depending where you look. Given that the majority of our organizers are in the 40 to 60 age range, statistically speaking, they are more likely to be married. I like to think that they're well supported at home which allows them to spend some of their free time on a hobby they love! This is the one that shocked me. 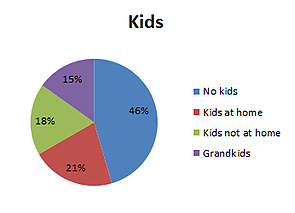 Almost half of our organizers don't have children! I have absolutely no explanation for this. Perhaps people without children have more free time and are more likely to be involved in motorsports? I don't know. If you have any clues, please let us know. Lastly, a chart that illustrates what we already knew. Most of the hard-working folks that are putting on events are volunteers with full-time jobs. This just goes to show how dedicated our organizers are when it comes to their organizations. We do work with some organizers whose full-time job is working at a track or organization that puts on motorsport events, but that's rare. So next time you're at an event, be sure to thank your volunteers!